I was reading the San Francisco Chronicle today and saw an article headlined ‘Rise Up!’ helps students and teachers find their inner Lin-Manuel Miranda. 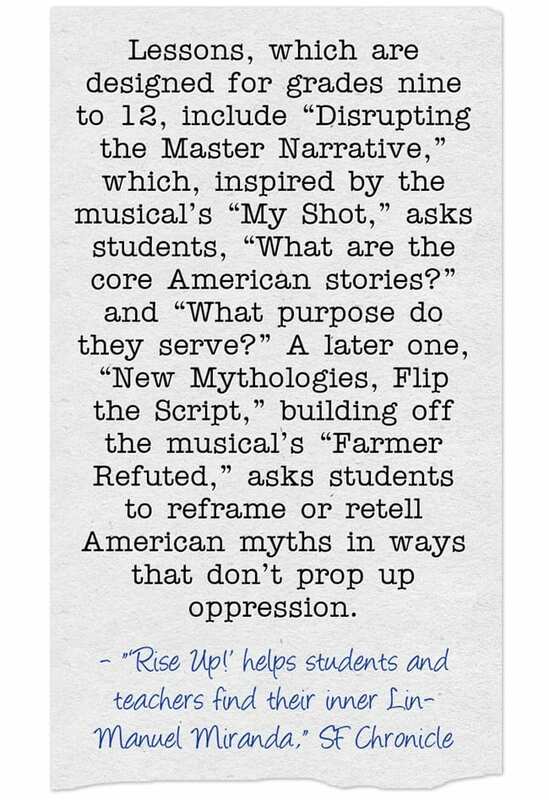 Apparently, a group of Bay Area educators and artists teamed-up to create a free curriculum inspired by the musical called Rise-Up! An American Curriculum.